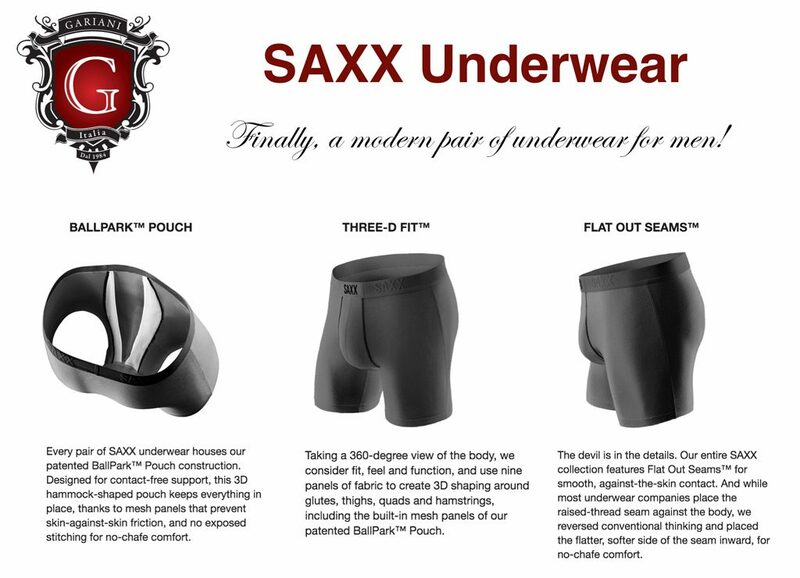 Our customers say that SAXX underwear are the most comfortable underwear they have ever worn. The technology is truly innovative! Gariani Menswear if well-stocked – come in and experience true comfort. SAXX underwear uses the patented BallPark™ Pouch construction that makes them the most comfortable, high-performance underwear ever made. The BallPark™ Pouch, Three-D Fit™ and Flat Out Seams™ combine to give you the appropriate amount of room needed, while preventing unwanted friction. Each pair also features a Moisture Wicking Waistband that keeps you dry when the temperature rises. Lastly, we use a wide range of cutting edge, technical fabrics, each with a specific feature to enhance your wearing experience. 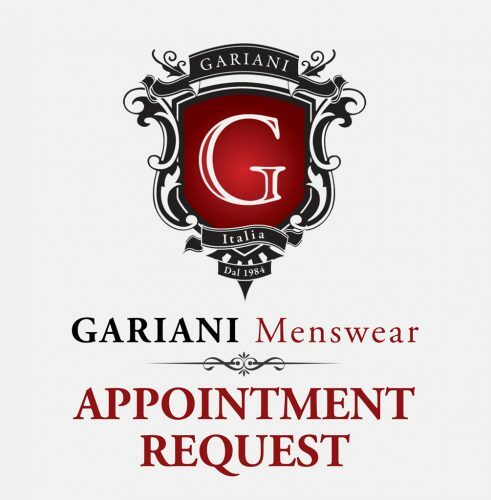 Since 1987, Gariani Menswear has specialized in providing men witht the latest and most comfortable fashions in men's clothing. Gariani provides fine imported men's clothing, custom suits, and professional alterations for both men and women. Please contact Antony and Ramzy for a consultation.